For a unique and memorable honeymoon in Pigeon Forge, an anniversary celebration you’ll always remember, or simply a much-needed couple’s getaway, check out Splash of Romance, a charming Smoky Mountain cabin with 1,600 square feet of space. 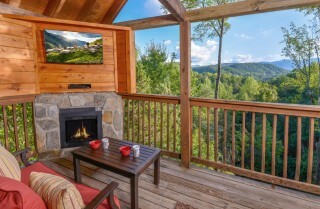 Although located in a neighborhood, this 2-person cabin features 1 bedroom, 1 ½ bathrooms and all the romantic additions you’re looking for—a king-size bed in a spacious bedroom with an indoor jetted tub, mountain views of the Smokies from your rocking chair porch, and an outdoor entertainment center complete with a flat screen TV and a fireplace. 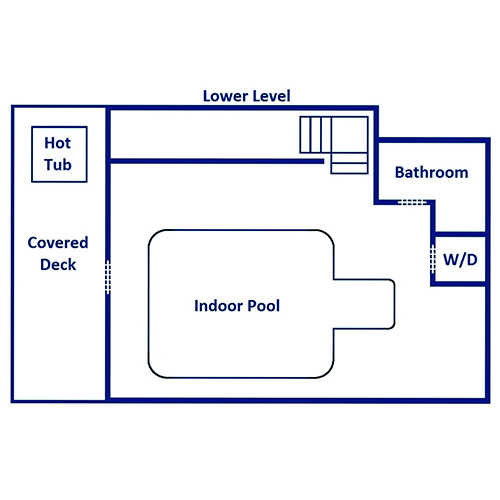 What’s even better, Splash of Romance offers a pool table, an outdoor hot tub, and a private heated indoor pool! With all of these amenities, you definitely won’t run out of ways to have fun and relax at Splash of Romance. 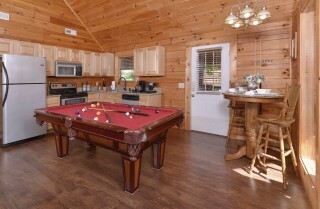 But another great feature about this cabin is its convenient location to downtown Pigeon Forge. 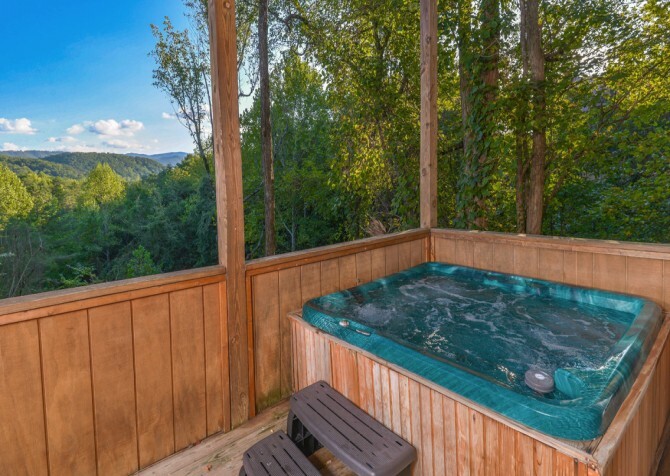 In fact, Splash of Romance is less than 1 mile from the Parkway and less than 2 miles from downtown, where you’ll find tons of couple’s attractions and restaurants. 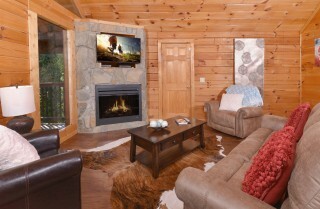 Book your Smoky Mountain stay at this fully equipped, updated cabin for 2 today! Warm, open, and full of natural light, the Splash of Romance living room is the perfect place to relax after shopping on the Parkway or horseback riding in the Great Smoky Mountains National Park. 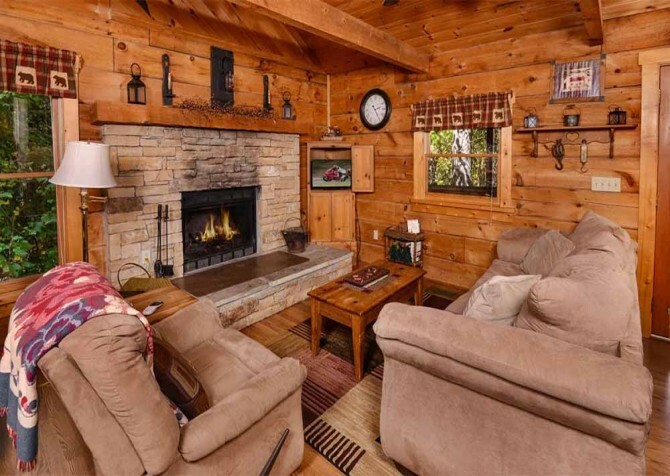 A full-size sofa with recliners and matching chair are accompanied by a complementary chair, offering plenty of space for 2 guests to spread out and get comfy. But before you sit, grab the remote for your big screen TV or set the mood by turning on your electric (no heat) fireplace. 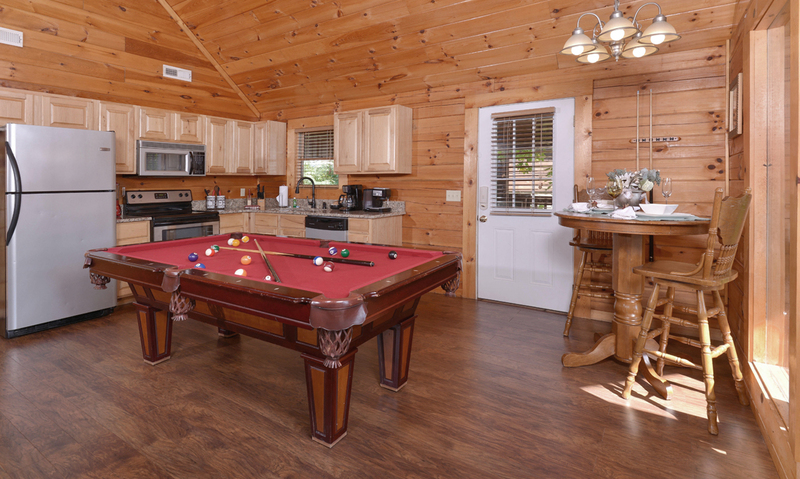 Splash of Romance also offers a large coffee table for drinks, snacks, or games and a full-size pool table in this well-lit space. The lighting comes from a vaulted ceiling adorned with large windows—all of which offer Smoky Mountain views right from your cozy spot on the couch! With Splash of Romance’s open-concept design, the kitchen remains open to both the living room and dining room, adding to the spacious feel of this 1,600 square foot cabin for 2. L-shaped and modern, this kitchen features granite countertops, honey-colored cabinets that complement the wood walls, and black-and-stainless steel appliances. 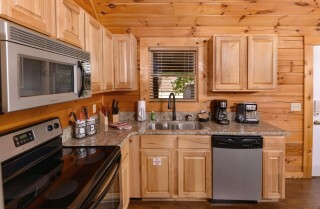 All your major appliances are supplied by Splash of Romance as well as several countertop necessities, including a coffeemaker for your morning fix and a blender for afternoon cocktails. This cabin also comes with cookware, serving pieces, and all the utensils you’ll need to cut, prep, and prepare romantic meals for 2 inside your Smoky Mountain cabin. Although dining out at the wide variety of Pigeon Forge restaurants is a great way to spend date night, at Splash of Romance you’ll have access to a full-size kitchen and a 2-piece dining set with private views of the Smoky Mountains. 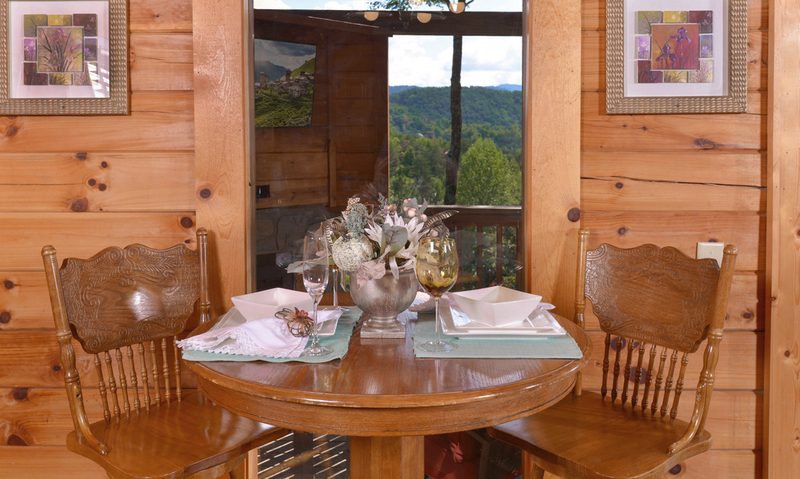 Take advantage of all this cabin has to offer by planning romantic meals for just the 2 of you. And don’t worry—even if you don’t want to do all the shopping for a nice meal in, Cabins for YOU provides Vacation Packages like the Honeymoon Special, which includes a fully prepped rib-eye dinner for 2 delivered to your cabin door (ready to cook). 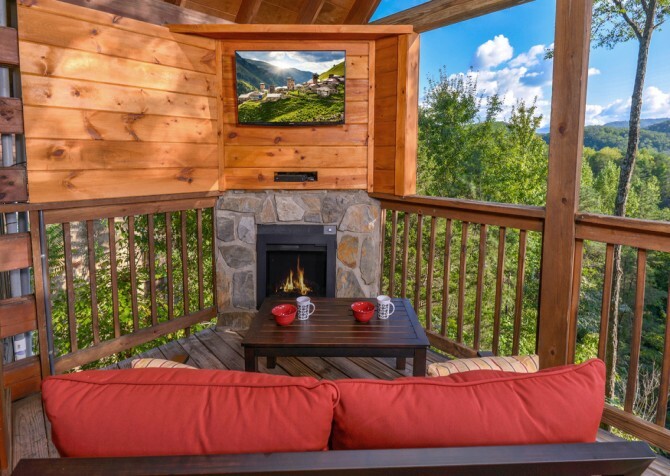 Ask our reservation specialists for more information about this package and many more romantic add-ons (including an in-cabin massage) that we can add to your stay at Splash of Romance! If you thought booking your Pigeon Forge stay at a cabin instead of a hotel would mean missing out on favorite vacation amenities like an indoor pool, think again! At Splash of Romance, you’ll find an indoor pool with views of the Smoky Mountains that’s reserved for just the 2 of you. What’s more romantic than that? Take a midnight dip if you want, or wake up your muscles with a refreshing swim every morning. 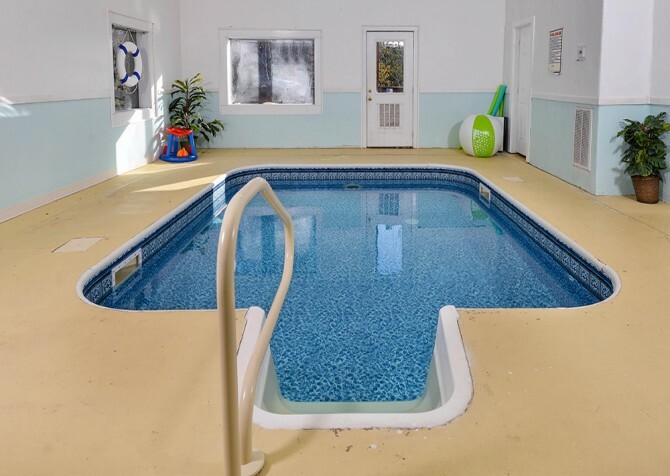 And because this pool is fully enclosed, this is an amenity you can use any time of year—rain, snow, or shine! 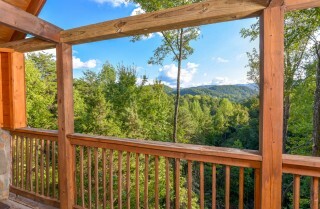 It even has beautiful mountain views through the glass doors along the wall by the deck and a comfortable 85-degree temp! 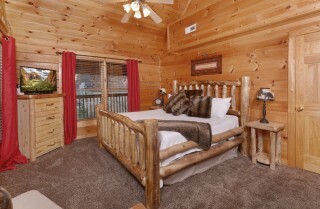 The large bedroom inside Splash of Romance has everything you’ll need for a romantic stay in the Smokies. 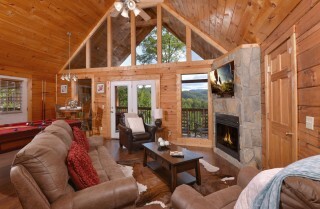 High ceilings add to the spacious quality of this room, and warm, carpeted floors will make you feel right at home. To add that Smoky Mountain flare, the Splash of Romance bedroom features log-style furnishings, including the king-size bed frame, twin nightstands, and a matching bureau. 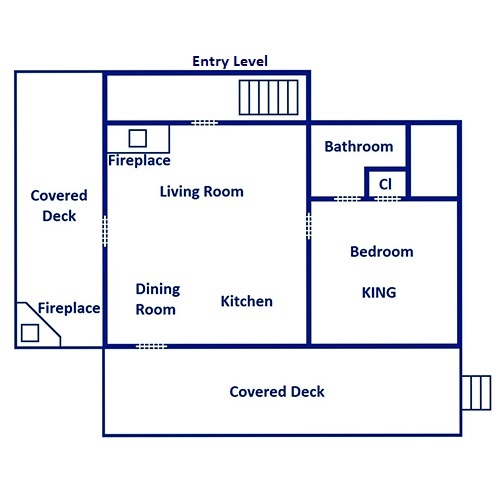 And for your convenience, enjoy reading lamps, a ceiling fan, a chair, and a flatscreen TV. 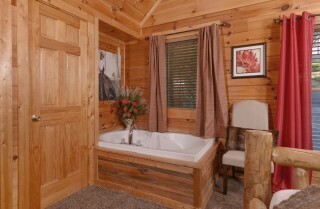 In the corner of this room, don’t miss another romantic addition of this cabin: an indoor jetted tub! If you’re honeymooning, you’ll definitely need this to soak away the stress of planning your big day. But no matter what brings you to the Smokies, you probably won’t need a lot of convincing to take advantage of this relaxing cabin amenity! Sit side by side on your rocking chair porch while soaking in the sights of the distant Smokies. 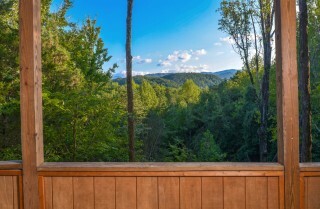 Enjoy the quiet atmosphere of the Smoky Mountain trees. 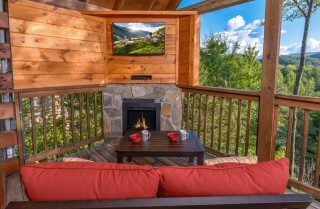 Even watch your favorite TV show beneath the stars on a comfy couch in front of your outdoor fireplace. 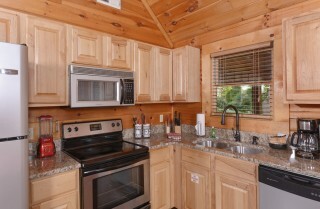 These are a few of your options in Splash of Romance’s outdoor spaces! 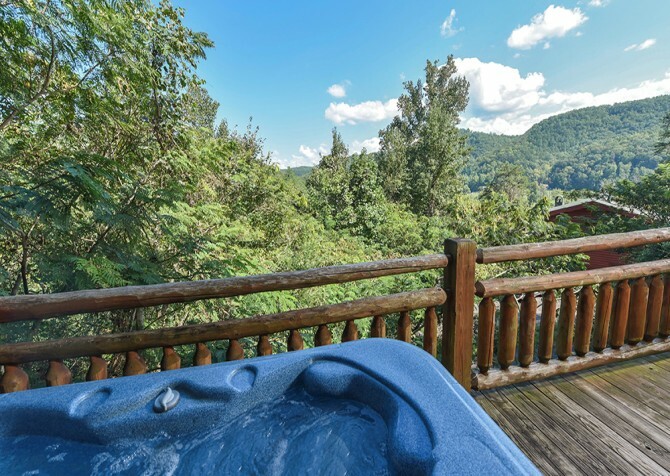 In addition to the outdoor entertainment center, Splash of Romance provides an outdoor hot tub with the Smoky Mountain trees acting as your privacy screen and an extended roof to cover you overhead. 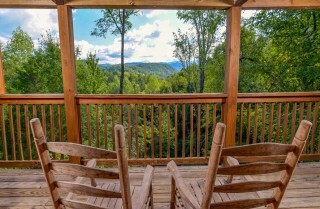 Spend time enjoying the sights that only the Smokies have to offer during your Pigeon Forge stay at Splash of Romance! You already know about this cabin’s indoor jetted tub, outdoor hot tub, pool table, and private indoor pool. 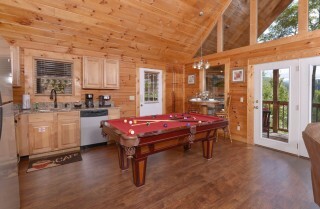 But the long list of this cabin’s amenities still isn’t complete! At Splash of Romance, you’ll also have access to a pool table in the main living area, a washer and dryer, and high speed wireless internet, which means easily keeping up with our Cabins for YOU blog for upcoming events and exciting attractions in nearby Pigeon Forge. Outside the cabin, you’ll also find a charcoal (picnic area style) grill for those ribeye steaks or a casual evening of hamburgers and hot dogs. And don’t worry about needing an all-terrain vehicle at Splash of Romance. 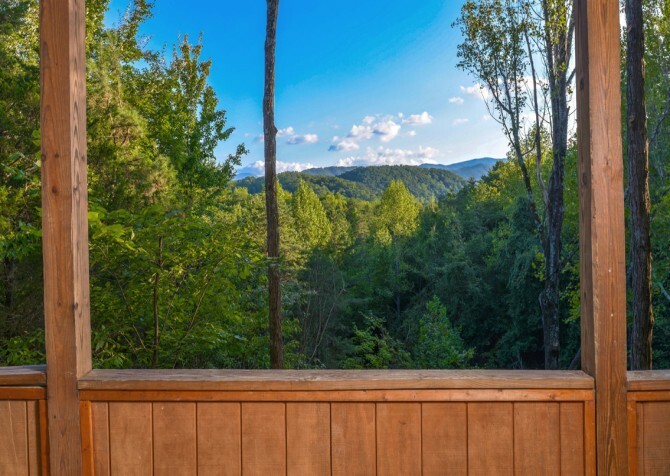 All the roads leading to this Smoky Mountain cabin are flat and paved, and the driveway is also paved, though steep, with room for 1 vehicle. One of the best features of Splash of Romance—besides its private indoor pool and outdoor entertainment center—is its convenient location to downtown Pigeon Forge. With less than a 1-mile drive, you’ll make it to the Pigeon Forge Parkway, and in less than 2 miles, you’ll arrive at the heart of downtown. A classic Pigeon Forge attraction, Dolly Parton's Stampede features a 4-course meal and an action-packed show with 32 magnificent show horses. Get your picture in front of the historic Old Mill and shop for hand-spun pottery in the square—you can do all this and so much more at The Old Mill! 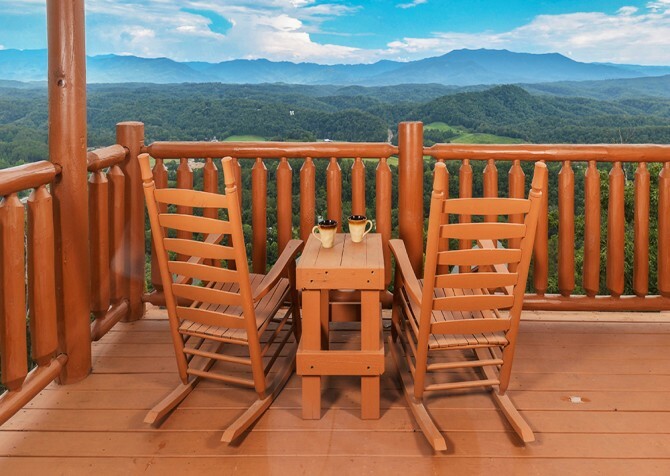 For traditional Southern cuisine in Pigeon Forge, take your date to Mama’s Farmhouse—an all-you-can-eat, family-style restaurant serving 3 square meals a day! "Just got home from our trip. We rented from cabins for you for our honeymoon! We LOVED it! 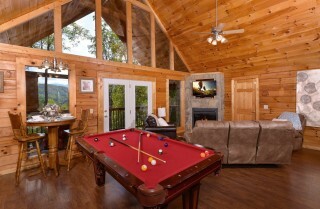 Cabin was just what we expected and was very clean. We will return." 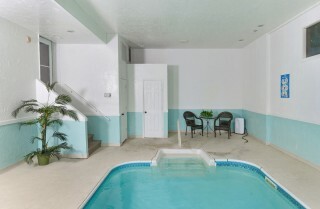 "We stayed at Splash of Romance for our honeymoon and it was absolutely perfect. 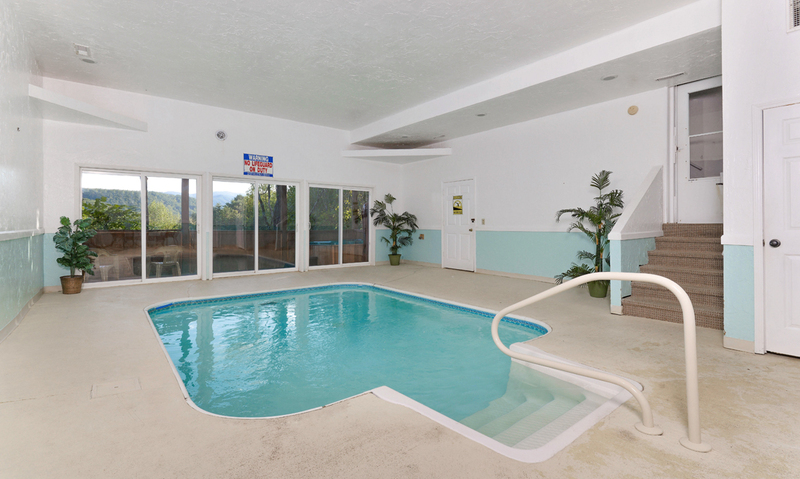 It had everything we needed, super comfortable furniture, jacuzzi, our own personal pool and hot tub. We had such a great experience and would recommend these cabins to anyone!"